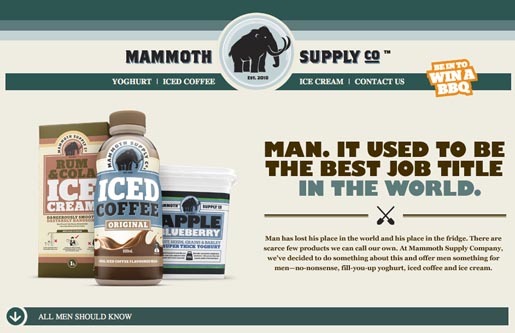 Fonterra is targeting New Zealand men with Mammoth Supply Co, a range of dairy products including chunky yoghurt, ice cream and iced coffees. The product range is being promoted on television, radio, online and in product labels playing on social stereotypes associated with staying manly. Men can put sunscreen on men as long as some sand goes in the sunscreen first. Men can encourage men while playing sport but never while watching sport. Men can grow facial hair. Men don’t groom facial hair. See the second video on the Mammoth Supply Co site. Men can’t cry watching old movies. Men can cry watching old semifinals. Men can go to the movies together. Just be sure to keep the popcorn in the middle. Men can use the bath but never for bathing. Tubs of Mammoth Supply yoghurt tubs come with a spoon and in a 325g carton, much larger than the usual 150g snack-size pottles, with a label that reads: “This is men’s yoghurt and you are a man. 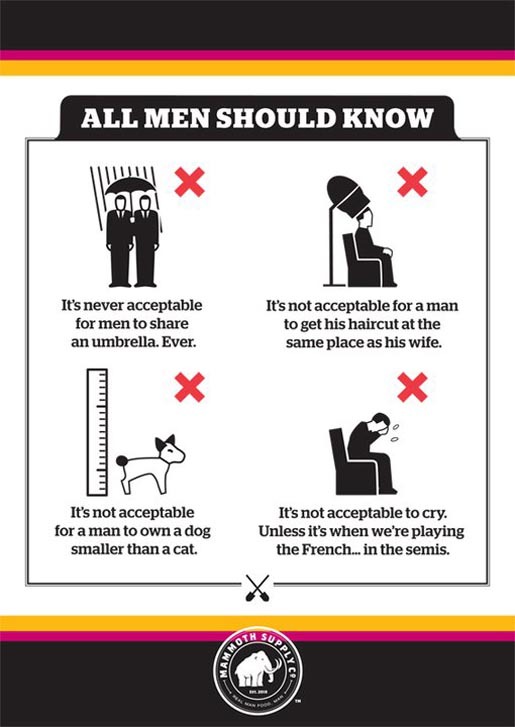 Now find a spoon, fork or spade and dig in.” The label includes a list of behaviours deemed unacceptable for men. The “super-thick” yoghurt has fruit, seeds, grains and barley, and comes in four chunky flavours: lemon and passionfruit, mango and coconut, apricot and manuka honey and apple and blueberry. Mammoth’s “dangerously smooth” icecream flavours include rum and cola and peanut butter. “We did research with men, and that’s what they came back with,” said Dominic Quin, Fonterra’s general manager of marketing and innovation. He said the company’s research showed men stopped eating yoghurt after 30 because they saw it as being for their wives and girlfriends or as “diet” food which was not substantial enough. 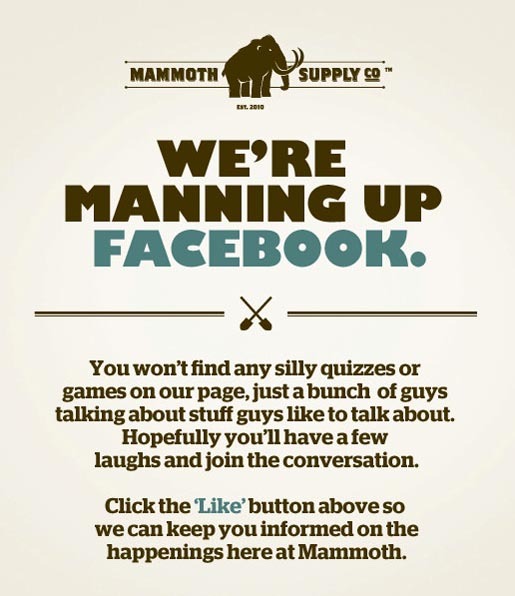 See the Mammoth Supply Facebook page, which includes tips on manly behaviour. The Mammoth Supply campaign was developed at Shine by agency producer Liz Rosby. Filming was shot by director Adam Stevens via Robber’s Dog with director of photography Crighton Bone, producer Helen Naulls and executive producer Mark Foster. Editor was Tim Mauger at The Editors.